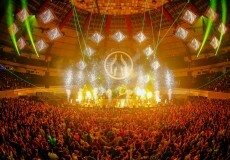 This year’s MAYDAY, one of the most famous electronic music events in Germany, took place on 30th April in Dortmund, Germany. 20,000 party people visited this spectacular event that headlined “Making Friends”. 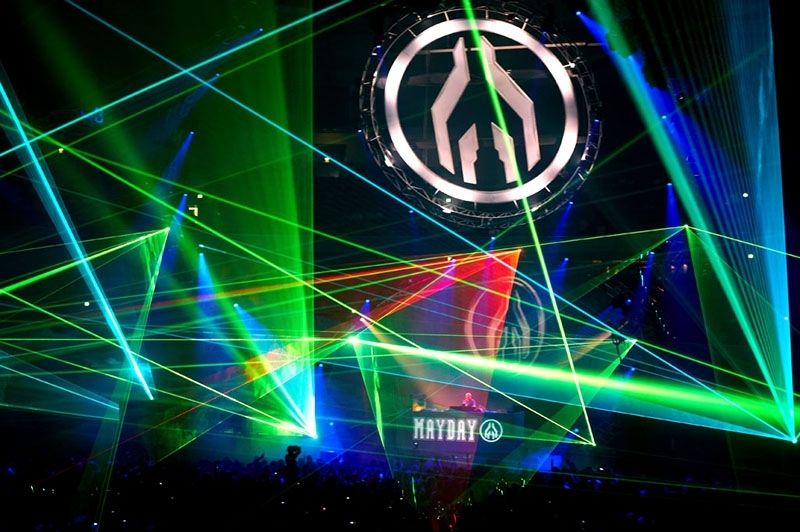 Besides the unique lighting design with spectacular effects and scenes, the laser show played an important role for the event: The strong, precise beams that perfectly matched the beat of the music emotionalized the audience. 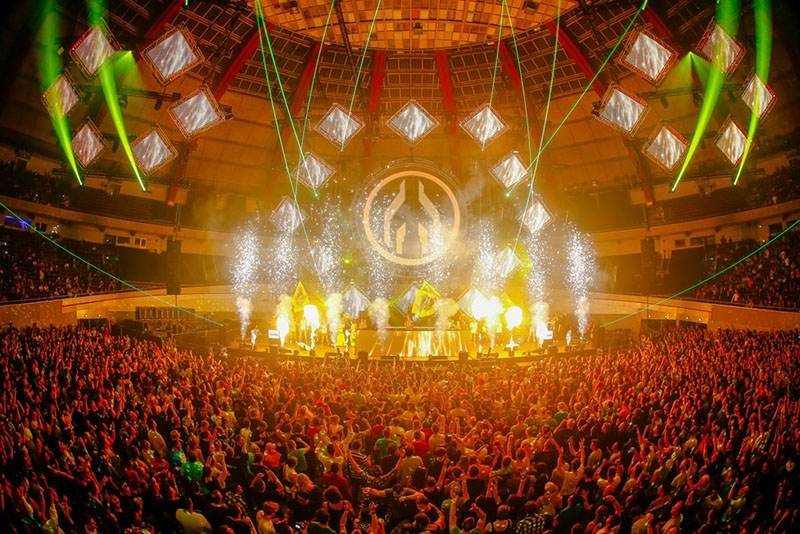 Laserfabrik, who did the laser show design and implementation on the main stage, relied on laser gear of the Laserworld Group for this large event. More than 200W of laser power were in use on the main floor – four RTI NANO RGB 20 systems created the main power beams, supported by eight RTI FEMTO RGB 7 and several supporting laser systems. The de-centralized, digital laser control signal processing was done with 5 DSP Mark2 workstations, all triggered through a GrandMA2 control desk.